Ancestors (parents, grandparents, or even great-grandparents). My favorite certificates are the ones that are usually the most tragic. They were filled out by a parent or grandparent of the deceased (usually a child in these cases). But, because of the close connection to the deceased, the certificate is usually pretty spot-on and thorough. Children. Talk about hit-or-miss. No certificate offers as much uncertainty as when a child of the deceased is the informant. I've gotten some that were surprisingly thorough and others that are truly head-scratching. When my great-grandmother died and her son supplied the information, he put "unknown" for both her parents. 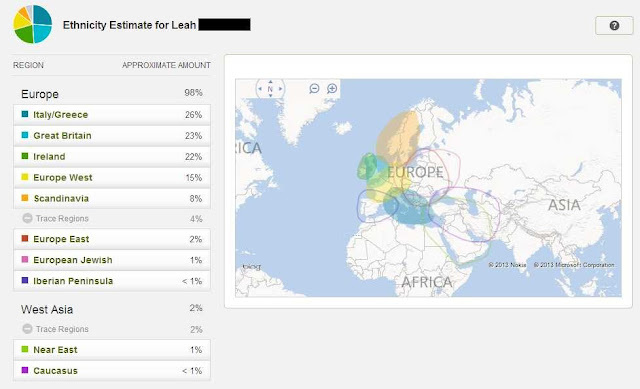 Now, I knew my great-grandmother and she talked about her parents often so you'd be hard pressed to find anyone in my family who didn't know who they were. I can only figure that he didn't read over the certificate very thoroughly before he signed it. Spouses. This is the most common informant I've found and usually one of the best. If I know the deceased had a living spouse, the certificate goes way up on my priority list of ones to get. I do find that while the deceased's parents are listed, little mistakes are often present and the maiden name of the deceased's mother is often missing. Other Relatives (cousins, aunts and uncles, nephews and nieces, etc.). Much the same as children, very hit-or-miss (but usually miss). Friends, Neighbors and Strangers. I don't know about you, but I rarely discuss my family tree with people I am unrelated to or who are uninterested in genealogy. If I were to die today, I can count very few people unrelated to me who would make a decent informant on my death certificate. I have found that this is often the case with relatives, thus these certificates are usually disappointing. Before ordering a certificate, I usually look at where the person died to determine who the informant might have been. If they were born, raised and lived in Rolland Twp., Isabella, Michigan and, for whatever reason, died in Los Angeles, California I know that the informant was probably someone not very knowledgeable about the deceased's family. I also look at what living family members the deceased had and where they were living. If that person from Rolland Twp. that died in Los Angeles happened to have a nephew also living in Los Angeles, then the nephew was probably the informant and my interest in the certificate goes up. Obviously, any good genealogist goes after all the certificates available and I do. But I'm also not a wealthy person so when ordering a certificate, I want it to give me the most information (and most accurate information). That is why knowing or at least having an idea who the informant was is important to me. One of the most tragic informants I've had was the sixteen-year-old daughter of a man who, together with the girl's stepmother, had died of influenza on the same day of the Great Epidemic. Another thing to remember about the informants on death certificates is that the people informing are grieving. They are probably not at their best and possibly in a very bad way. The informant for my great-grandmother was her daughter who was in her early 20s. When asked her mother's name, she stated the name of her own mother who had just died. I just have to believe she wasn't quite in her right mind to answer accurately. This was a good post. Thanks.